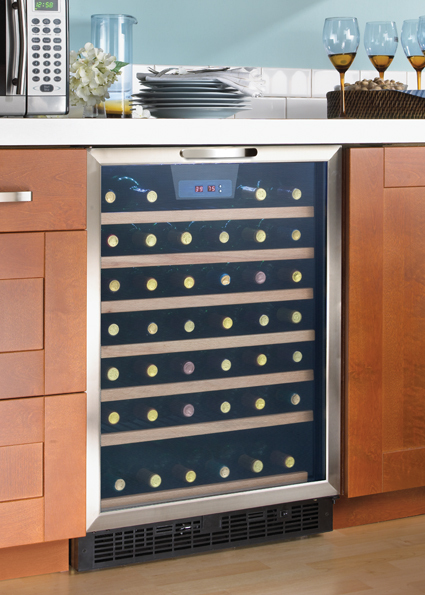 The serious wine aficionado will appreciate this chic wine cooler with its 5.3 cubic-foot 50-bottle capacity. It can be used as either a freestanding or built-in unit and comes with a temperature range between 4°C and 18°C (39.20°F and 64.40°F). The digital thermostat is precise and easy to read with its electronic LED display unit. 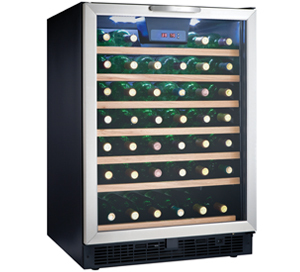 This enables you to easily program and monitor the temperature of the cooler at all times as it can easily be seen through the stylish tempered-glass door. 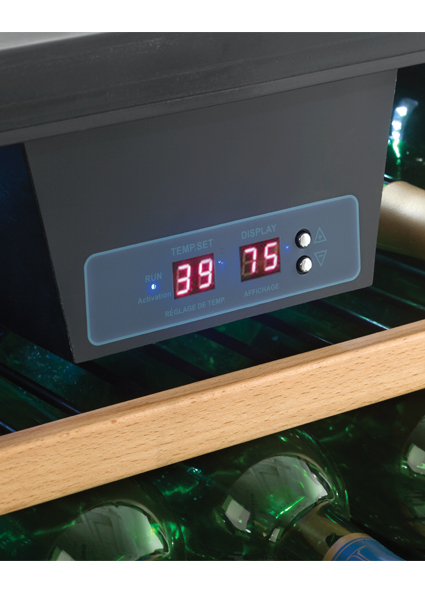 The wine is kept cooler with the presence of an incandescent light bulb and there’s plenty of room for your favourite brands due to the seven sliding black-wire shelves. 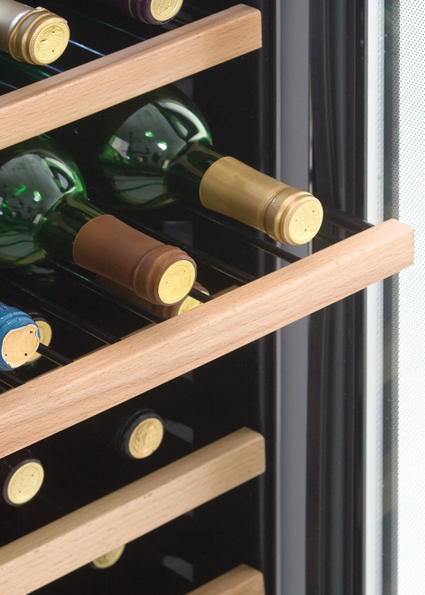 The door also features a stainless steel handle and frame and the convenient reversible hinge allows you to set it for either left or right-hand opening. 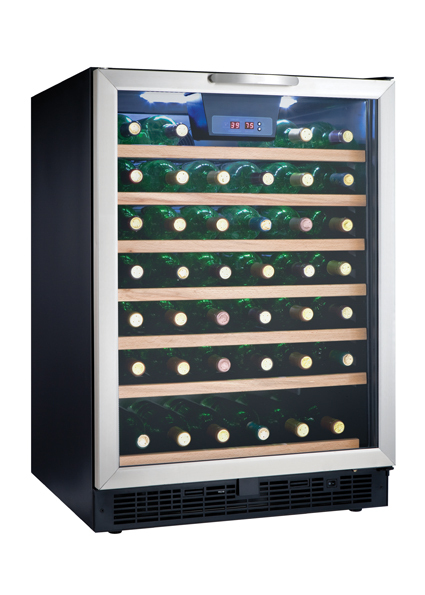 The wine cooler also comes with in-home service on its 18-month parts and labor warranty.